It’s no secret that around here, our favorite way to accessorize is with jewelry. And since we’re always on the hunt for fabulous pieces to wear, from handmade statement necklaces to 3D printed rings, we’re also constantly looking for cute and clever ways to organize our treasured bling. 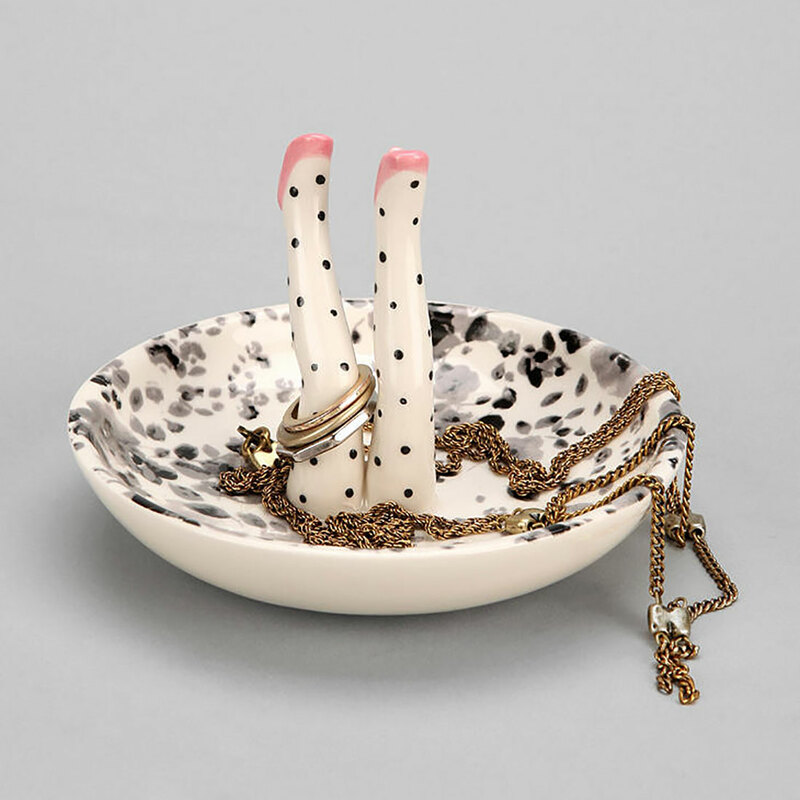 These 12 whimsical jewelry dishes give us exactly that (what a find! ), adding an adorable touch to every dresser or bathroomvanity they grace. 1. 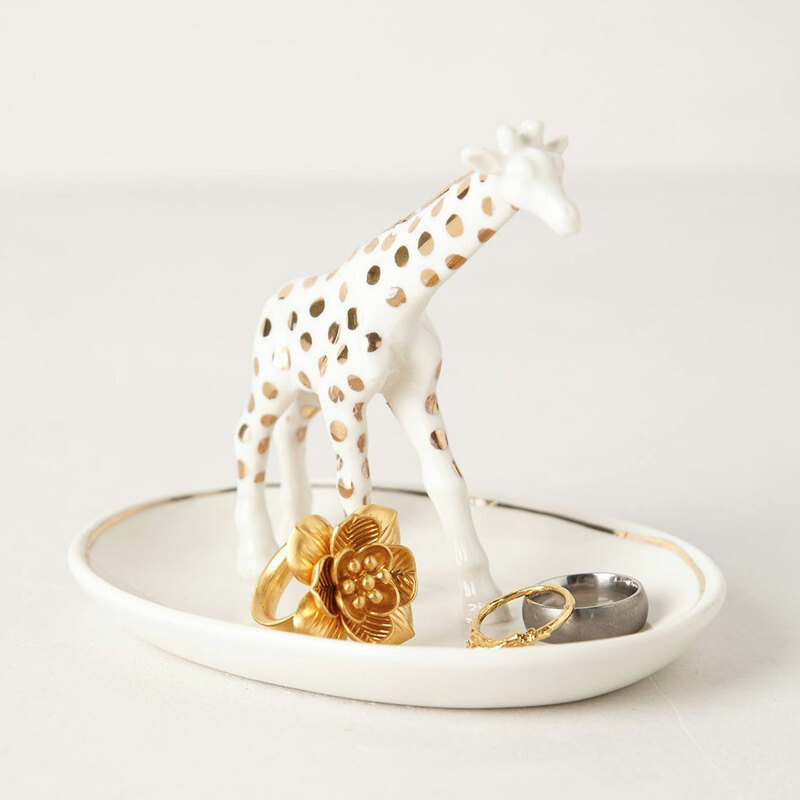 Giraffe Trinket Dish: This gold spotted giraffe gladly lends his long neck to hang your most precious gems. Thanks buddy! 2. 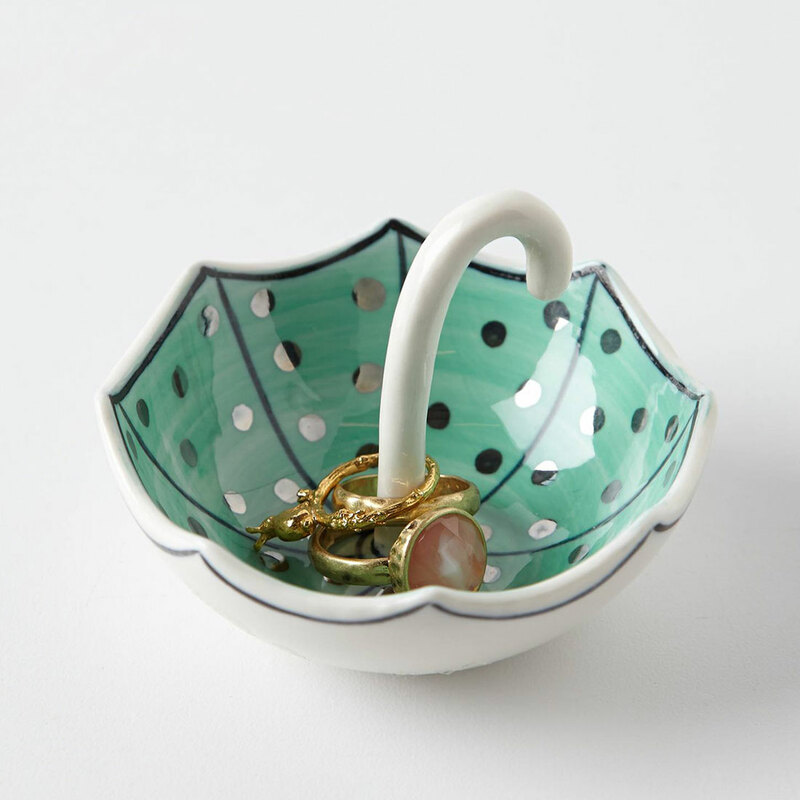 Umbrella Ring Dish: Who knew a wind blown umbrella would be perfectly shaped for storing delicate chains and charms? We love that you can drop your rings around its curved handle. 3. 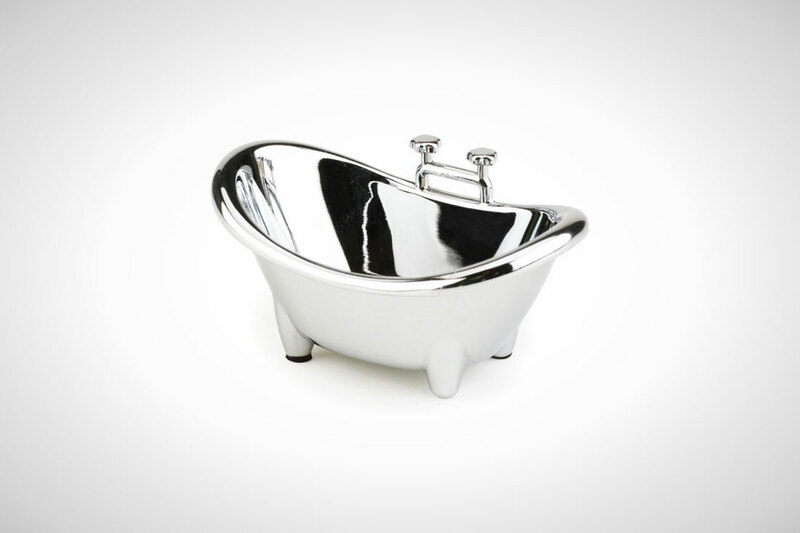 Muse Tub Ring Holder: This tiny chrome-plated tub might win “most unusual catch-all,” but that doesn’t mean we don’t totally adore it. 4. 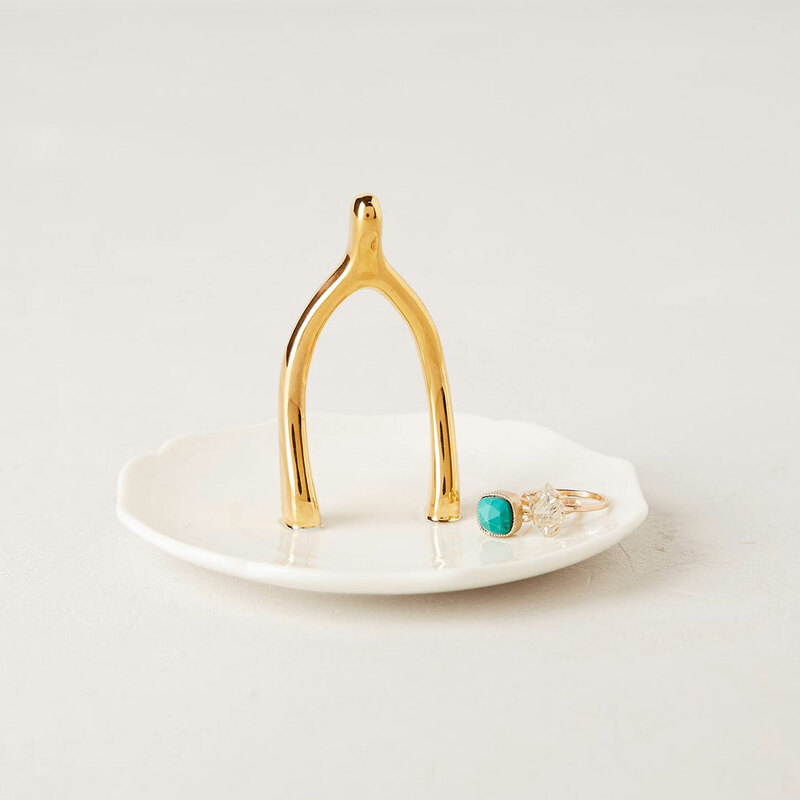 Wishbone Jewelry Holder : Keep your luckiest charms on this golden wishbone jewelry dish. Even all superstitions aside, this porcelain plate is remarkably chic. 5. Dawdler Ring Catcher : This snail’s shell is stunning for a reason: its pinwheel stripes mark the hidden compartment where everything from stud earrings to cocktail rings can be safely (and secretly!) stored. 6. 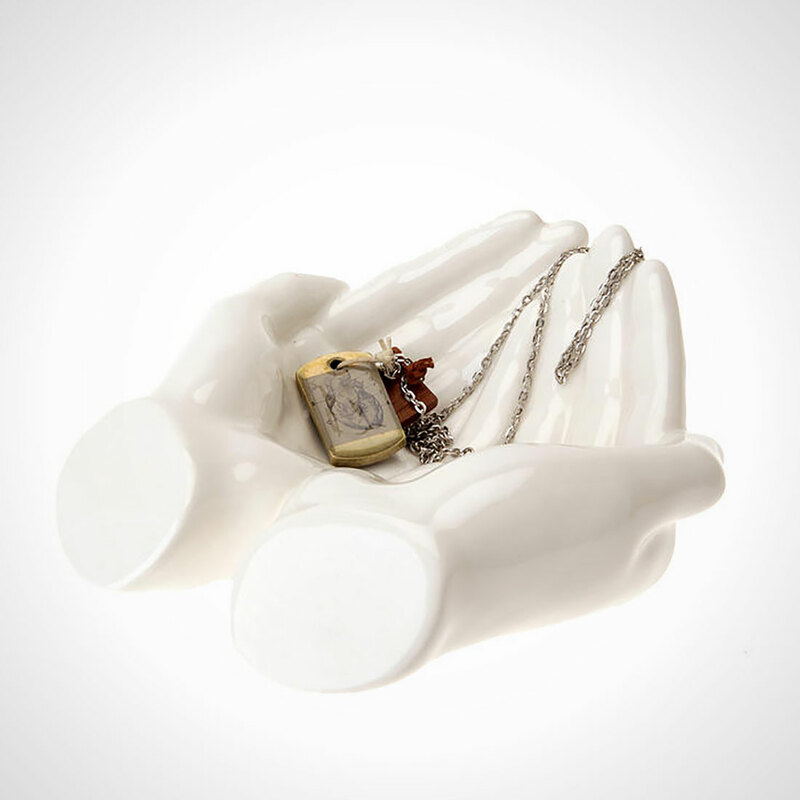 Helping Hands CatchAll Dish: Rest assured, your favorite pendant necklaces are in good hands we had to! 7. Plum & Bow Lady Legs Ring Holder: We have to thank these lady legs not only for acting as a catch-all for our stacking rings and bangles, but also for giving us some serious style pointers—polka dot tights and pink pumps, anyone? 8. 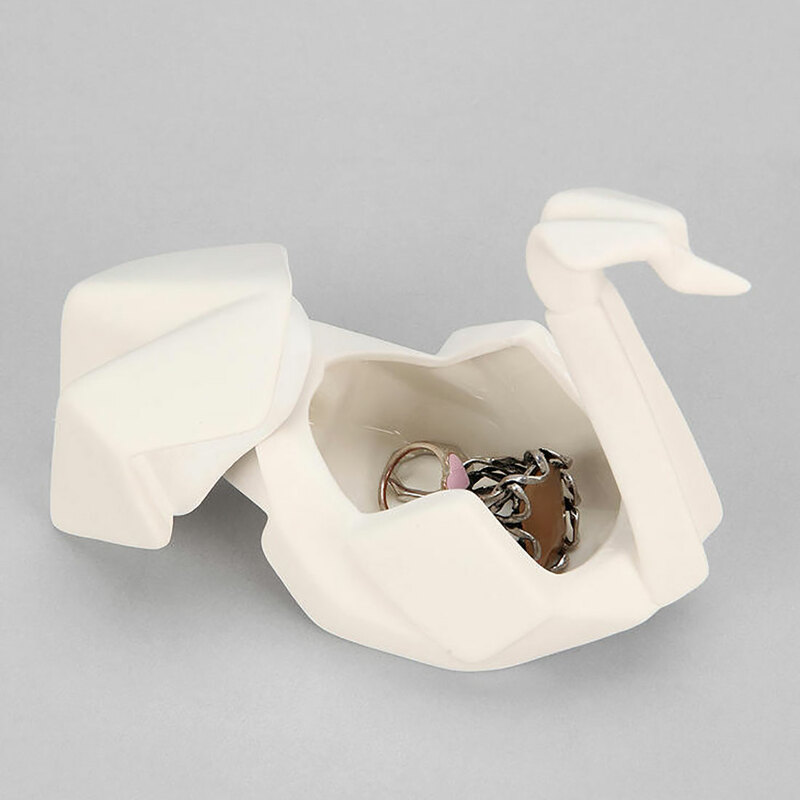 Origami Swan Catch-All Dish: This origami-inspired jewelry dish would look right at home next to other angular items like faceted terrariums or geo-printed decor. 9. 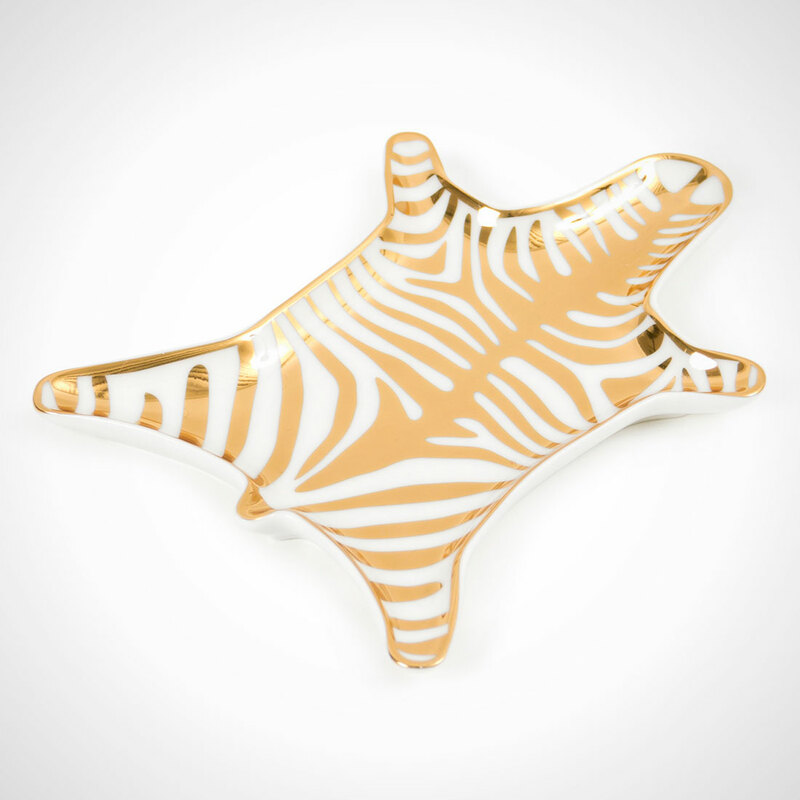 Gold Carnaby Zebra Stacking Dish : As the envy of the animal kingdom, this posh striped zebra fled his habitat to exist in harmony with other gilded baubles. Add just about any trinket to this versatile tray. 10. 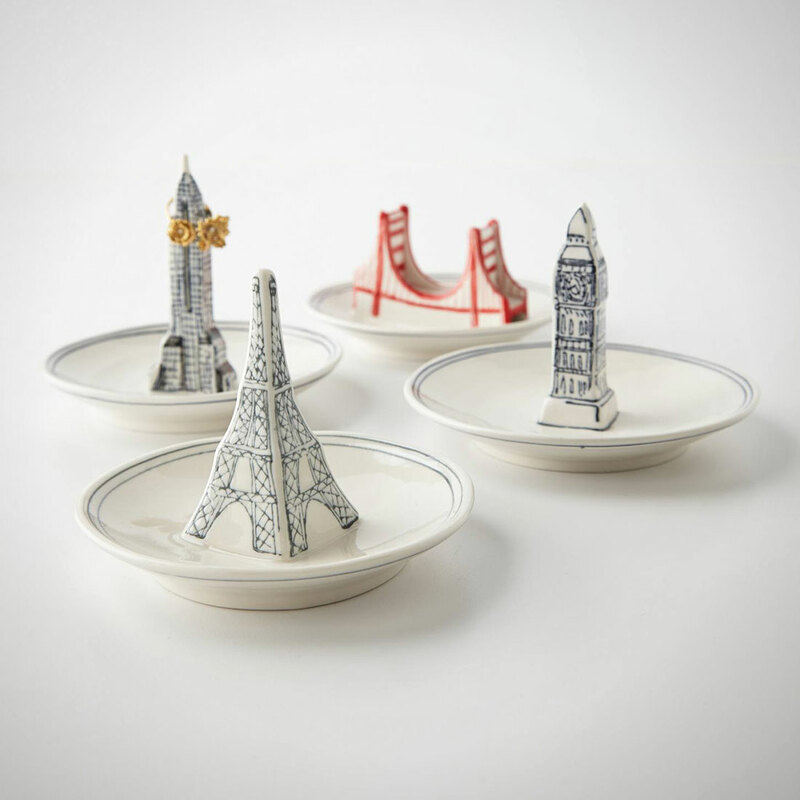 Landmark Ring Dish ): The spokes and spires of iconic landmarks double as a place to display your worldly ring collection. We’re totally obsessed! 11. 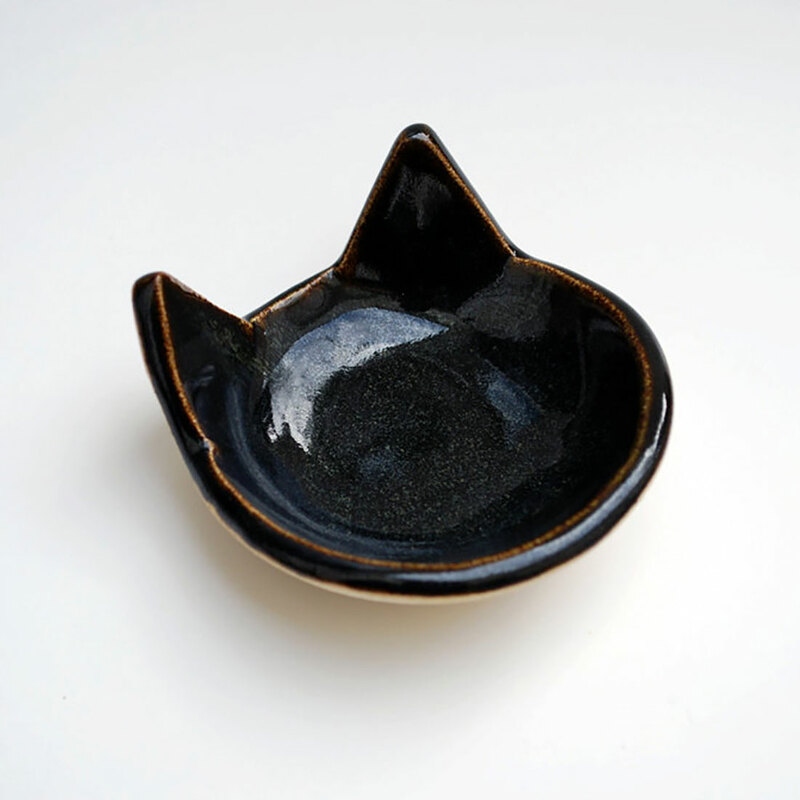 Black Cat Shaped Bowl ): This handmade cat ear bowl is all kinds of charming. It’s an obvious place to stash your collection of animal jewelry. 12. 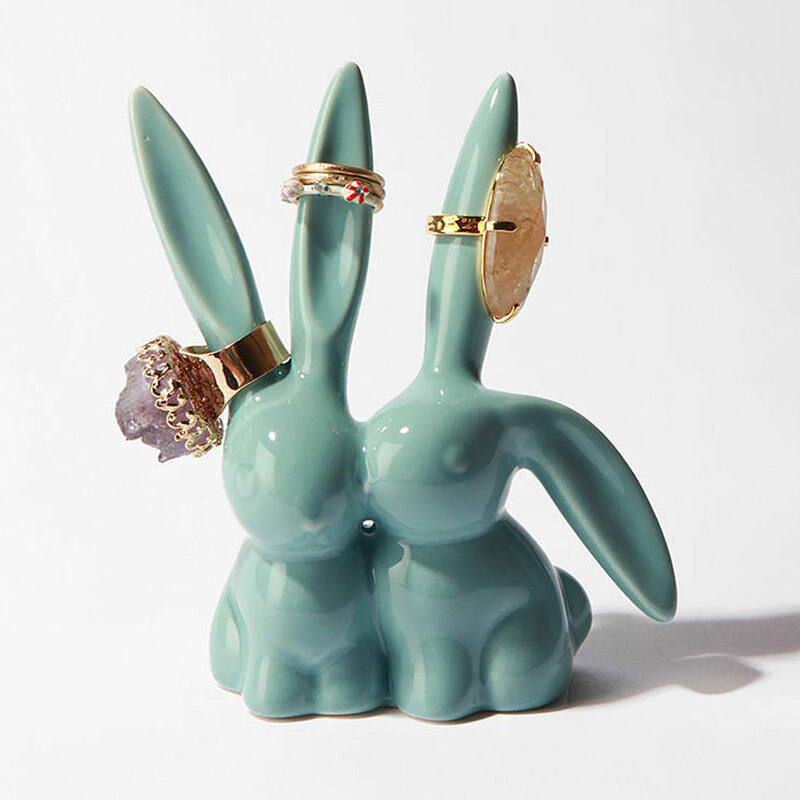 Love Bunnies Ring Holder ($12): Cuddling, kissing bunnies? 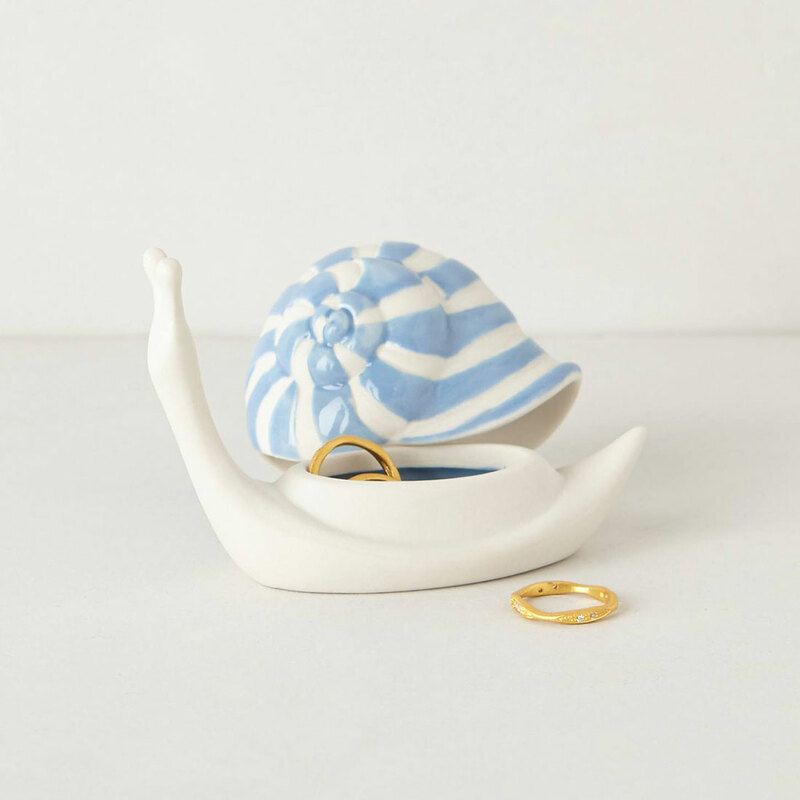 Please tell us that this ring holder has its own adorable Instagram account!